You don’t have to be a superfan (or even a fan at all) to know the best thing about game day is the food. The action on the field is merely an excuse to gather with friends and family to indulge in a feast of flavor that gives even Thanksgiving dinner a run for its money. But not all game-day menus are created equal. The tendency to serve factory-farmed bratwurst and watered-down beer is all too real. There are better ways to make a game day spread, and in that spirit, we have a few suggestions to help you do it your way. Beef burgers—like the ones in our Dinner Kit featuring grass-fed meat and brioche buns— are a classic place to start, but you don’t have to stop there. Bison and elk burgers (both grass-fed and humanely raised) from The Honest Bison are leaner than beef and higher in protein. Lamb burgers are a great way to introduce Mediterranean flavors you’re otherwise unlikely to discover while tailgating. For delicious vegetarian options, try our veggie burger Meal Kit or Beyond Meat’s plant-based patties. With so many choices, you can grill two or three and set them out with buns and condiments to easily add a burger bar to your spread. Forget about bland pretzels made from who knows how many ingredients. Instead, go local with Firebrand Artisan Breads’ chewy pretzels, freshly baked using only salt, water, flour, butter, and yeast. Prefer something with a little crunch? 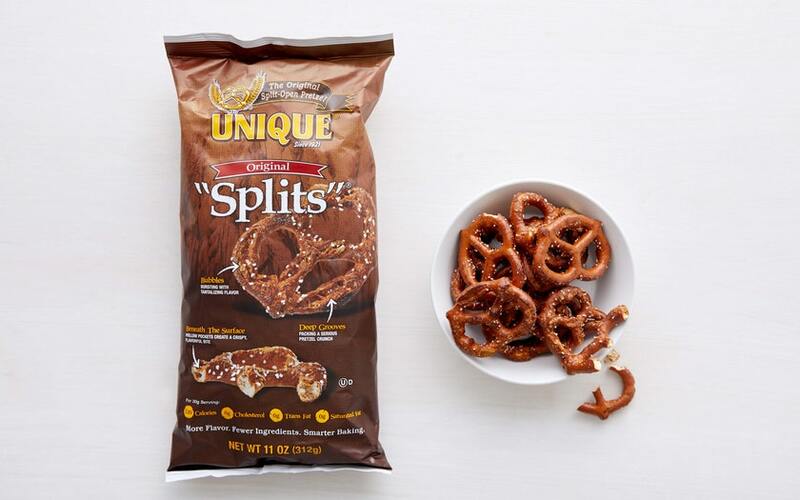 Splits from Unique Pretzels come highly recommended from colleagues here at Good Eggs. 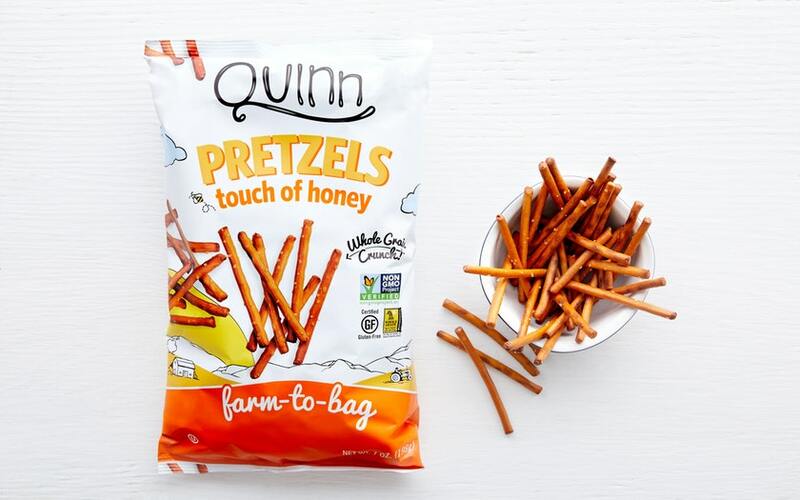 For a gluten-free option, try Quinn’s Touch of Honey Pretzels. And don’t forget pretzel buns to add another dimension of flavor to burgers and sausages! There’s no denying that bratwurst perfectly complements beer and pretzels — especially local links from Sonoma County Meat Co. And just like burgers, sausages are a part of your spread where you can mix new and traditional flavors. Try some chicken apple sausage or merguez, which is made from lamb. Prefer to stick to pork? Smoked kielbasa is a classic option, or you could do something a little different, like garlic ginger sausage. And if it’s good old hot dogs you’re after, you’ll love True Story Food’s pasture-raised, uncured beef franks. Whatever type of sausage you choose, it’ll be right at home in a brioche bun from San Francisco’s La Boulangerie. If you’ve been saving a secret wings recipe for the big game, we’ve got you covered with the best ingredients, like Mary’s organic wings and local small-batch hot sauce. If you’d rather let someone else do the work, the Good Eggs Kitchen is serving up Buffalo-style and marinated BBQ wings this year — just heat and enjoy. And if wings aren’t your thing, try some drumsticks or even a whole pasture-raised chicken, perfect for no-fuss roasting. If you’re having a lot of people over, 15-packs of New Belgium Dayblazer Easygoing Ale work great for parties. Thinking wine instead? Jared says A to Z Bubbles pair well with all the traditional game-day staples, from burgers to pizza and everything in between. When it comes to chips, you have a lot of options. On one end of the spectrum, there are the classics, like Luke’s Organic potato chips and Casa Sanchez’s famous tortilla chips. On the other end, you have a truly unconventional choice: Chirps — they’re made from cricket flour and packed with protein and fiber. In between, your options include everything from fruit chips (like Sun Tropics Sea Salt Saba Banana Chips) to sesame and seaweed rice chips to beet chips. Mix and match with our dips and salsas for endless flavor combinations. You probably want some condiments for all those chips, pretzels, wings, and just about everything else on your game-day menu. 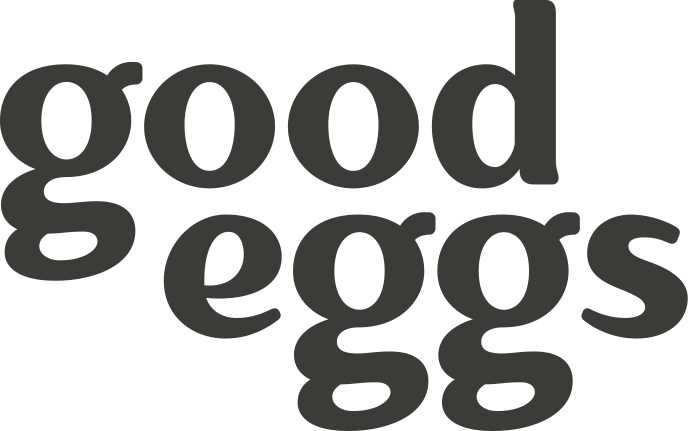 Whether you’re looking for honey mustard, garlic aioli, guacamole, or pico de gallo, the Good Eggs Kitchen has your back. Hummus, tzatziki, and baba ghannouge will add a Middle Eastern flair to your spread. And if you need more dip-friendly food, try our carnitas nachos, sweet potato fries, or our crudités platter. It’s tough to come up with a more iconic duo than sports and pizza, not that you ever need an excuse to toss a pie into the oven. And thanks to our Meal Kits, what can often be a messy and time-consuming task takes just 20 minutes from start to finish. From classics like pepperoni and margherita, to seasonal pies topped with squash and herbs, you’ve got options that rival your neighborhood pizzeria. Prefer to bake your own? Grab some crusts and sauce, add your favorite toppings, and voilà! It doesn’t matter if you’re celebrating game day with wings, burgers, pizza, or a little bit of everything on this list, as long as you’re doing it your way. And with the option to preorder for the big game, you can avoid the crowds at the grocery store and get all your shopping finished early. Our goal is to give you more time to spend with friends and family, which (in addition to the food, of course) is what game day is all about.